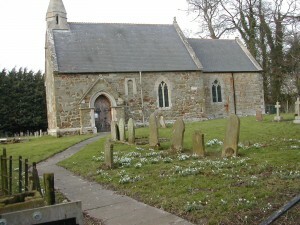 St. Edith’s Church, located in North Reston, Lincolnshire, has a history that dates back in time for a period incorporating almost one-half the time that Christianity has been in existence. This small stone church was constructed in the period of 1026-1070 by the Normans—although several dates have been published in this timeframe for its completion. Some records tend to indicate that the sandstone Chancery Arch was set in place in the year 1038, giving more weight to this year as the likely time for the walls being erected. The Normans were primarily Vikings, along with some Anglo- Danes and Celtics, who settled a region in northern France early in the eleventh century; giving this region the name of Normandy— meaning men from the North. Prior to the Norman settlement of France smaller groups of Norsemen settled parts of northern England and Scotland during the latter part of the tenth century —leading to the conclusion that St. Edith’s Church was constructed by the Normans. By the thirteenth century the Normans had intermarried and assimilated into indigenous populations, and the identity of the Normans was largely lost. St. Edith’s Church was constructed of sandstone, but little is known about it until 1867 when a major renovation occurred. The church was expanded to the rear, offering seating for as many as 60 souls; and a new roof and other elements were replaced and/or upgraded. Since then, aside from general maintenance, little has changed. St. Ediths Church is not used regularly any more, but does have a Vicar. As of 2010, the Vicar in charge is (Retired) Reverend Payne. The Parish of North Reston is currently located with the Louth Civil Registration District. The parish encompasses approximately 780 acres, and in 1834 became a part of the Louth Poor Law Union. The population has changed little since the year 1800—with there being 50 persons found in the 1801 census. The 1821 census lists 6 homes and 46 inhabitants. The National Burial Index (NBI) lists 49 persons buried in North Reston—largely within the cemetery adjacent to St. Edith’s Church. Available Parish Records date back to 1562 and are found within this publication. The information on Parish Records found herein was taken from the International Genealogical Index (IGI) and obtained through extractions performed by the Utah Historical Society. 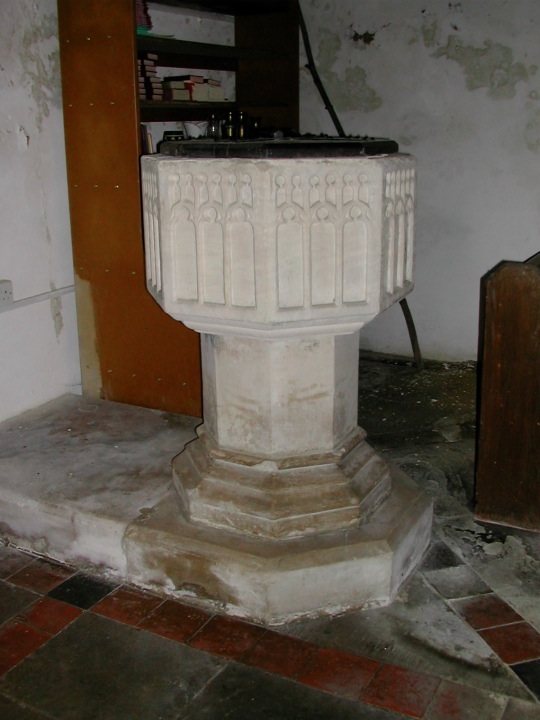 They represent records for the official Church of England, also known as the Anglican Church. For clarity and additional research opportunities, it is worth mentioning that the parish of South Reston is located 5- miles to the southeast. This parish has experienced some growth, and is much larger than North Reston. A comparison of parish records between the two towns yields persons of the same surname living in both parishes at about the same time. Researchers should avail themselves of the opportunity to search the parish records of South Reston as well. North Reston is located about 136 miles from London on Highway A157; or approximately 4.6 miles southeast of the town of Louth. Geo-coordinates for the St. Edith’s Church are 53’19’56.5” North, 4’30.6” East. Ron’s 3rd Great Grandfather, William Snowden, was christened in the St. Edith’s Church on the 20th of November in 1803. Ron and cousin Shirley Johnson Berry collaborated on a publication featuring the St. Edith’s Church; including a complete listing of the Parish Records from 1562 through the early 1900’s. This publication can be viewed at the LDS Church Family History Center in Salt Lake City, Utah–or online in their vast collection of genealogical records. Hi admin, i see your site needs fresh articles.